We're excited to have you back. Follow these steps to reactivate your account. To reactivate your account, open the account drop down menu by clicking your name located in the upper righthand corner of any page. 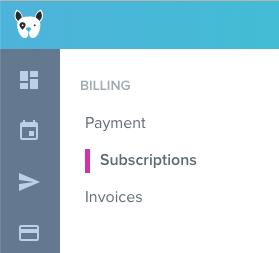 Click the "Reactivate Subscription" button in the upper righthand corner of the screen. Scout bills customers in arrears. 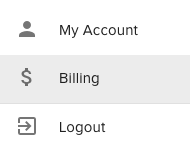 When you reactivate your account, Scout will invoice and bill you for you usage on the first day of the month following your reactivation. Note: For first time users, Scout pro-rates the monthly usage fees based on your free trial end date. Reactivated accounts are not pro-rated. If you reactivate your account on January 10th, you will be receive a bill on February 1st for any active users during the month of January. If you reactivate your annual subscription(s) prior to the expiration date, you will still be able to use your annual subscriptions until they expire (365 days from activation). If you wish to continue to your annual plans after the expiration date, you will need to contact us to renew your annual plans. Otherwise, you will be automatically enrolled in a monthly plan. If you reactivate your account, you will not incur fees unless you have more active staff than annual plans. If you go over your annual plans, new monthly subscriptions will be created. When your annual plans expire you will need to sign up for new annual plans. Otherwise, your account will default back to monthly billing only.